One of the reasons I started making soap and stuff was to strip as many unnecessary unpronounceables from my family’s personal bath and body products. Also, growing up with skin issues has made me empathetic to the needs of people currently battling with skin issues, and I like to help. I’m not a skin (or any other kind of) doctor but I read widely and try stuff out on myself all the time. My little ones will grow up either loving or hating the smell of calendula and not even know why :D.
So…pine tar soap. I’ve read that people with serious skin issues like eczema and psoriasis have found a measure of relief (not cure) from using pine tar soap. I was put off making it because many soap makers noted the tar (made from burning wood in the most part) smelled pretty strong and needed to be cooked outside, otherwise the smell would linger for days in the house. 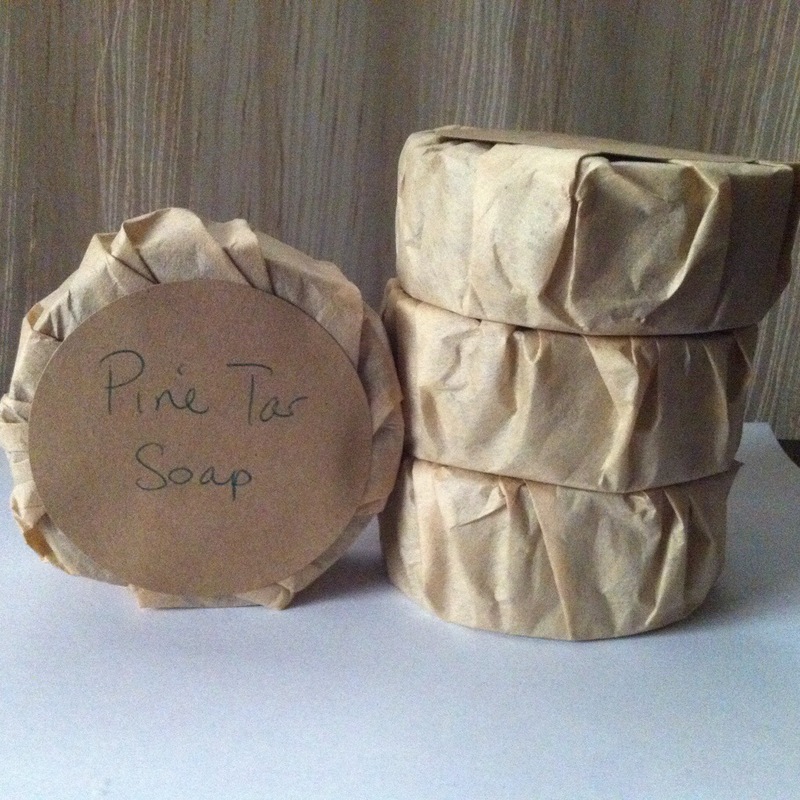 However I was chatting to a dear lady recently and the words children, atopic dermatitis, severe itching and psoriasis popped up so I asked her to do some research in pine tar soap and decide if she wanted to try it out. I also sent a bar for them to try. She immediately reported that the itching had stopped (woot woot), which is even more relief as our hot dry season approaches. I left the soap unscented and cooked inside the house. I found the best word to describe the soap is ‘medicinal’ and not one person in the house complained about it. Maybe we are used to strong smells or it’s not as bad as it’s been touted? Whatever the case may be, I’m happy some dear children are no longer terribly itchy after bathing. It’s 2 years this month since I started cataloging my soap and body treats making journey on this blog. 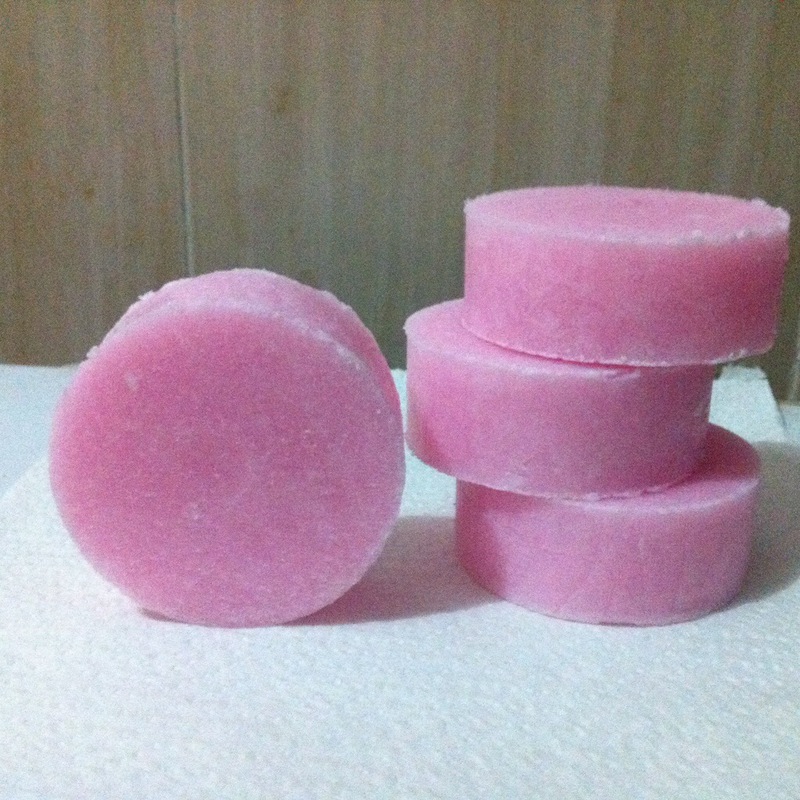 I remember one of my first ‘special’ soaps made was a pink salt bar. It was cold process and I added some dried tea leaves in for visual interest. Fragranced with dewberry (cant remember if it was a FO or EO). I felt really proud that I could make something that pretty and functional. The round pink salt bars in this photo are fragranced with fresh cut roses – you know this fragrance if you’ve ever buried your face into a fresh bouquet of roses. Very authentic delicate floral/green fragrance.